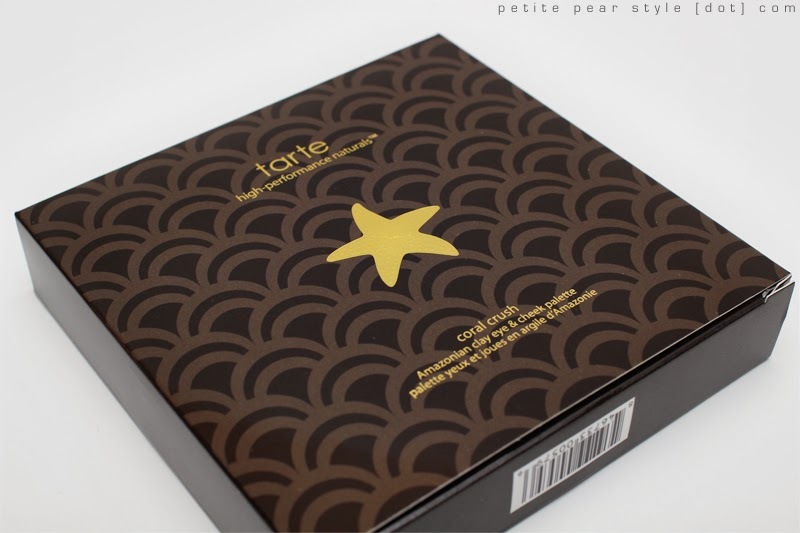 PETITE PEAR STYLE: Fabulous Swap with Pebbles! I have another huge swap to share with you today! Near the end of summer, Pebbles (aka Maria) and I decided to do a swap. We've been pals on YouTube for quite some time and thought it would be fun to surprise each other with a bunch of beauty goodies. We chatted over e-mail and shopped for each other... and then the day finally arrived for us to rip open our swap packages. Pebbles bought me so many things!!! She truly went above and beyond. I was so impressed with the products she picked out for me... it's like she could read my mind. I have been really enjoying everything and I'm so thankful for her generosity and friendship. The below photos show the products Pebbles picked out for me, but if you watch the (very long) unboxing video, you'll see how much care Pebbles put into wrapping up each gift. She left little notes on each of them and it was so much fun to open everything. She also included some perfume samples... which reminded me of a Sephora order, albeit a super huge and incredible order! - Killer Queen by Katy Perry // I like this scent, but I don't really feel it suits me. That being said, I like having little samples on hand so I will continue to use it! - Flowerbomb by Viktor & Rolf // This scent is incredible!! I really really like it... if I could remember to wear fragrance on a regular basis, I'd be tempted to pick up a bottle of this. - Alien by Thierry Mugler // I haven't tried this scent yet, but I've heard great things about it. 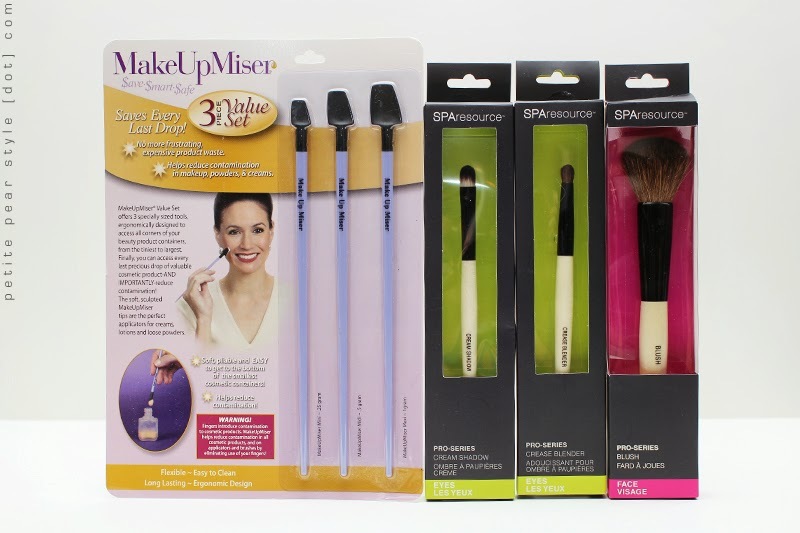 - MakeUpMiser Makeup Spatulas // I didn't even know this product existed, but it is brilliant! I've already used one of the spatulas to clean out every last drop of one of my moisturizer samples. These are also great to have so I don't dig into my face creams with my fingers. - SPAresource Pro Series Cream Shadow Brush // I needed a brush for my cream shadows and this one works great. - SPAresource Pro Series Crease Blender Brush // I really like this crease brush because it's smaller than the other ones I have in my collection. 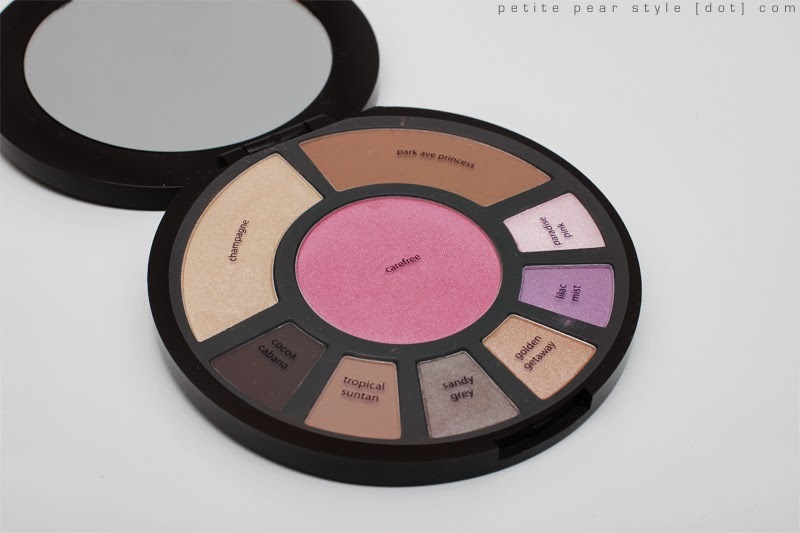 - SPAresource Pro Series Blush Brush // YAY!! I have been loving smaller blush brushes lately so I've been reaching for this one a lot! I was so happy to see that Pebbles included a couple of sheet masks for me to try! I've never heard of Dermal masks (made in Korea), but I love sheet masks so I was over the moon about these! 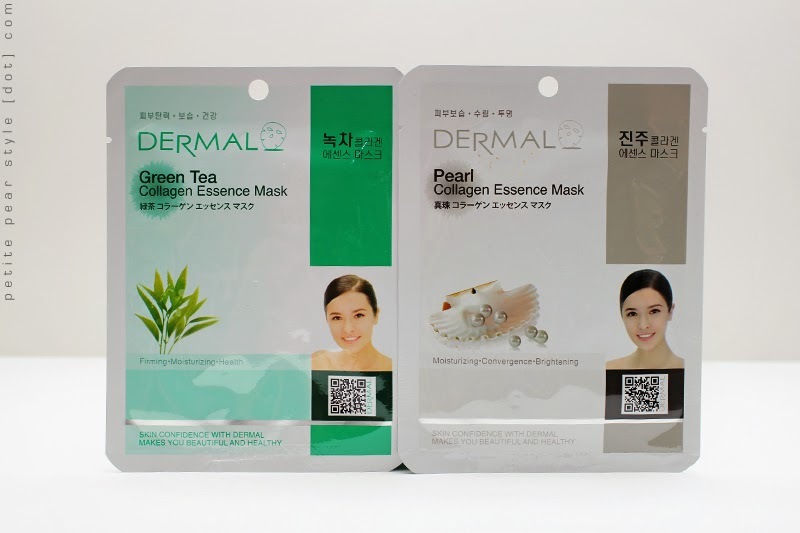 - Dermal Green Tea Collagen Essence Mask // I love love love this sheet mask! It smells amazing and it was so soothing. - Dermal Pearl Collagen Essence Mask // This mask was great too, but I preferred the scent of the green tea mask. I don't really remember the scent of this one so it was probably very light. I was in desperate need for some hair treatments or deep conditioners so this is one of the areas where Pebbles read my mind! - Silk Elements Luxury Moisturizing Conditioner // I haven't tried this conditioner yet, but I'm hoping it will in fact make my hair "as soft and smooth as silk." 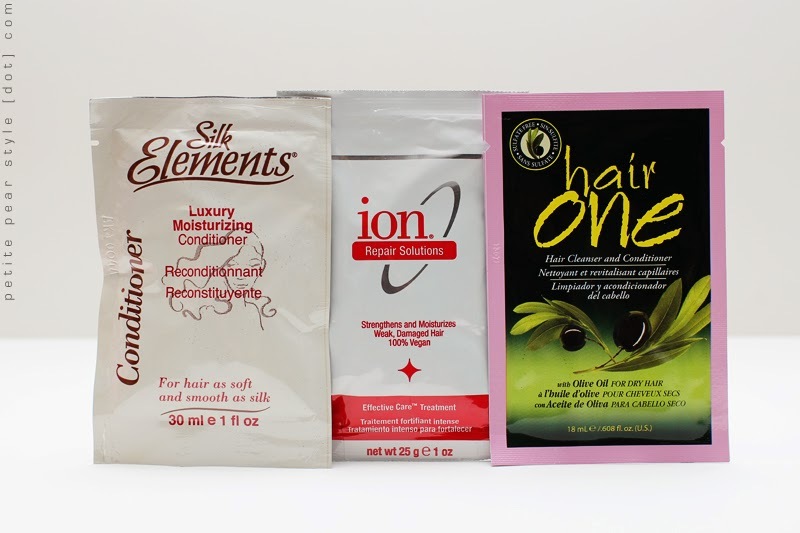 - Ion Repair Solutions Effective Care Treatment // I was intrigued that this product is 100% vegan, so this is the first hair treatment I tried. I liked the scent. It was very thick and creamy, so it coated my hair well... unfortunately, I didn't notice a difference with my hair after using it though. There was enough product in this packet for 3-4 uses and I enjoyed trying it. - Hair One Cleanser and Conditioner // I like that this product contains olive oil for dry hair. My hair (and scalp) have been extremely dry lately. One of the many reasons I dislike winter in Toronto. I've only tried this product once, but it is amazing!! I noticed a difference with my hair the very next day. My hair was extremely soft and silky, and my scalp felt less dry. I also loooove the scent! 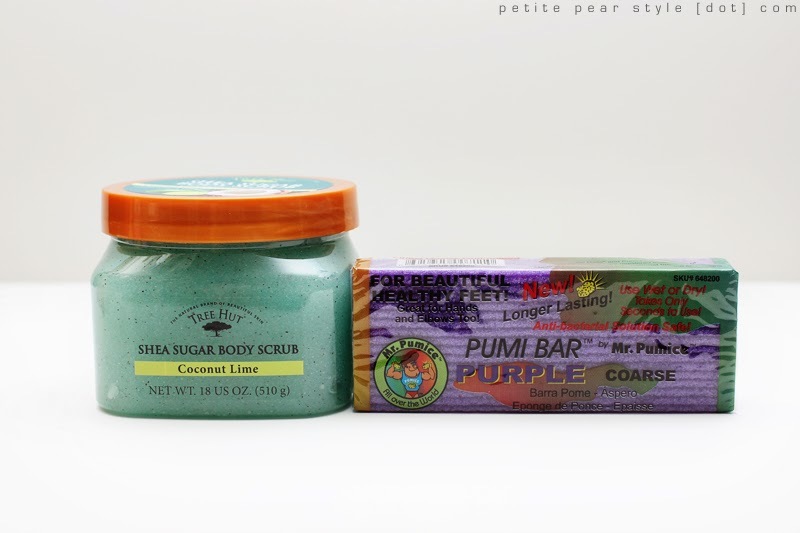 - Tree Hut Shea Sugar Body Scrub in Coconut Lime // I absolutely love this stuff!! 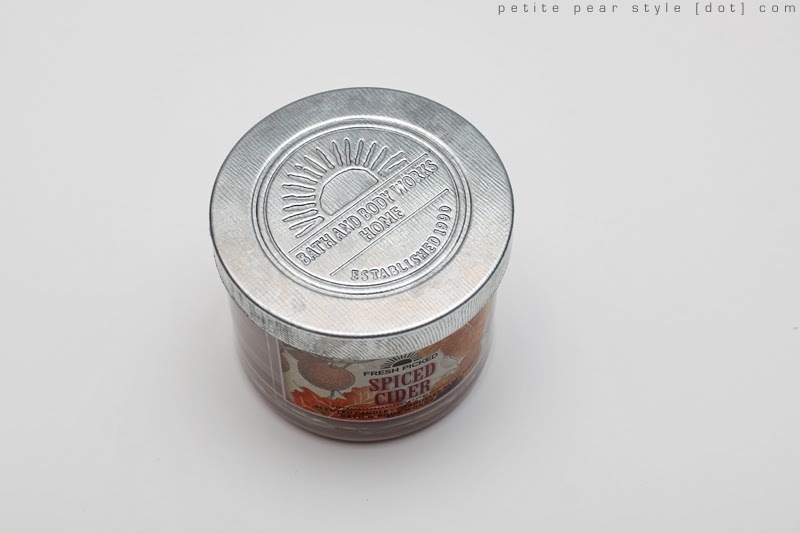 I received a small tub from Beauty Box 5 and the scent is simply divine. I was so happy Pebbles picked up a massive tub of the scrub for me! - Mr. Pumice Pumi Bar // My tootsies have been in a sorry state lately, so this pumice bar could not have come at a better time. Pebbles was so incredibly thoughtful with these next goodies! - Sephora Fishnet Headbands // Hehe, I think Pebbles was tired of seeing me use my Starlooks elastics to hold my hair back so she bought me these super cute (and very comfortable) headbands! I love that they have a lace pattern on them. I wear them almost every day. - Stila All Over Shimmer Liquid Luminizer in Pink // I've been talking about needing to make my skin look more luminous so I was so pleased to see this product included in my swap package! I've been using this product every day (mixed with my moisturizer). I'm not 100% sure it makes a difference but I feel better when I use it. - Palladio Rice Paper in Warm Beige // This is a product I requested... I had actually forgotten about it so thank you to Pebbles for remembering!! I've heard great things about this product and can't wait to try it. 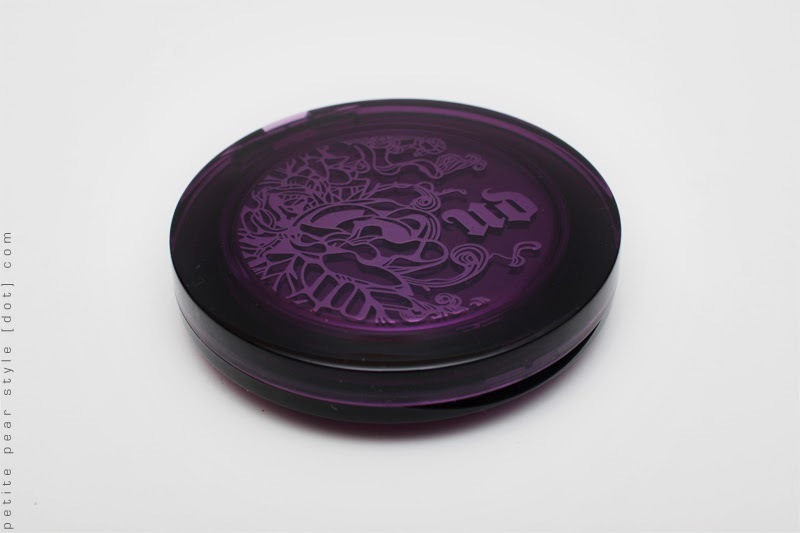 - Urban Decay De-Slick Mattifying Powder // OMG this compact is so beautiful. I think it may be the most beautiful (and weighty) compact I own. The powder itself is a stark white but goes on translucent. It doesn't keep me shine free all day, but it does do the job for a good 2-3 hours. 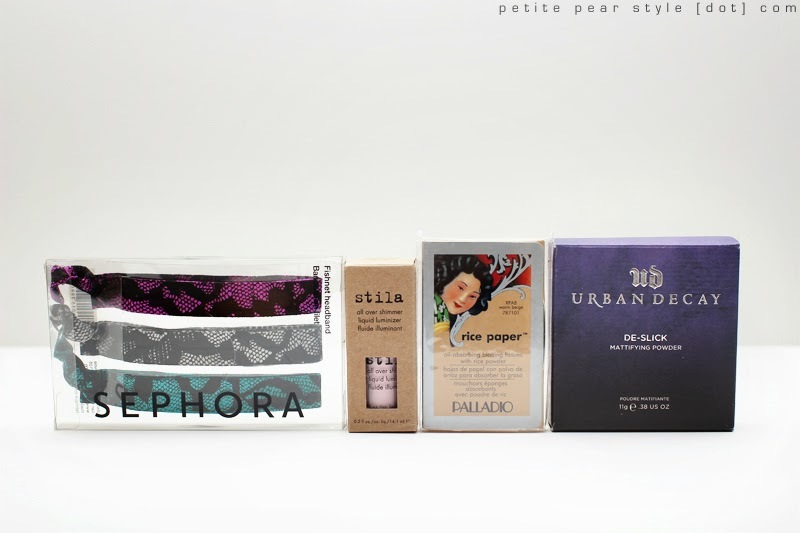 As a true lippie addict, these next products were right up my alley!! - Nivea Lip Butter in Vanilla and Macadamia Kiss // This smells so good and does a great job at moisturizing my lips. 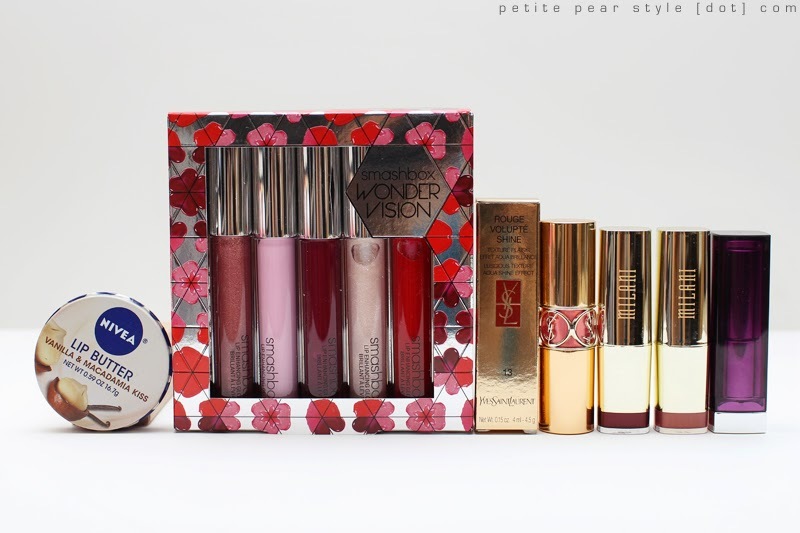 - Smashbox Wondervision Lip Gloss Set // I haven't used these lip glosses yet but I know I'll like them, because I have a Smashbox mini lip gloss and I really like the formulation. The red lip gloss in particular looks so beautiful and jelly-like. - YSL Rouge Volupté Shine in 13 Pink in Paris // The name of this product is perfect and the colour is even better! Such a beautiful mid-tone pink and I've been using it a lot lately. The YSL Rouge Volupté Shine lippies are among my favourite so I was very happy Pebbles included this in my swap package! - Milani Lipstick in Chilled Brandy // I have never tried the Milani lipsticks before and I was definitely missing out! This dark berry colour is perfect for fall and winter. The lipstick smells great too! - Maybelline Color Sensational Lipstick in Lavender Voltage // This lippie screams Pebbles as she loves purple lipsticks. I don't have anything like this in my collection, but I'm so glad she included this because I think it looks amazing on! Such a gorgeous punch of colour. 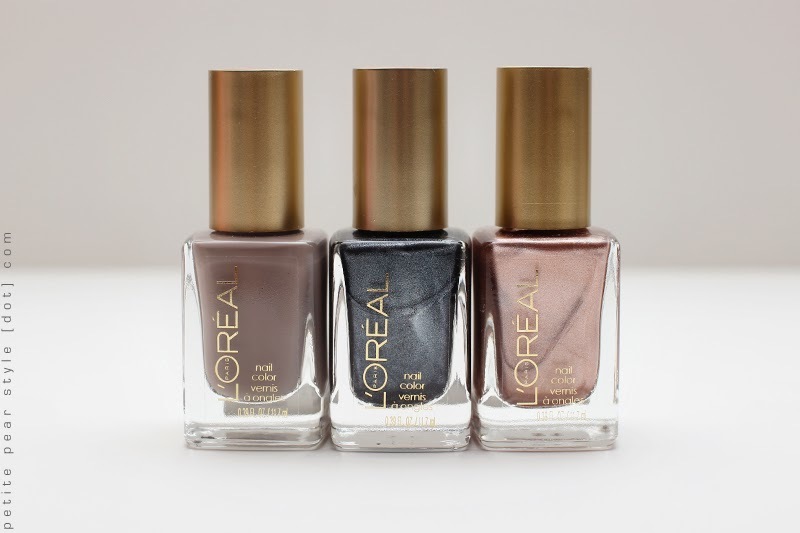 Pebbles picked out three gorgeous nail polish colours and I love them all!! So much so that I've actually already worn all three shades. - L'Oreal Nail Color in Eiffel for You // This is a beautiful cream polish in a light taupe-y grey. - L'Oreal Nail Color in Stroke of Midnight // I love this shade on my nails! It's a midnight blue that borders on charcoal/black. - L'Oreal Nail Color in Charmed I'm Sure // This is a stunning rose gold polish. It reminds me of Deborah Lippmann's Glamorous Life, but I haven't done side-by-side swatches to compare yet. I also received three mini candles! 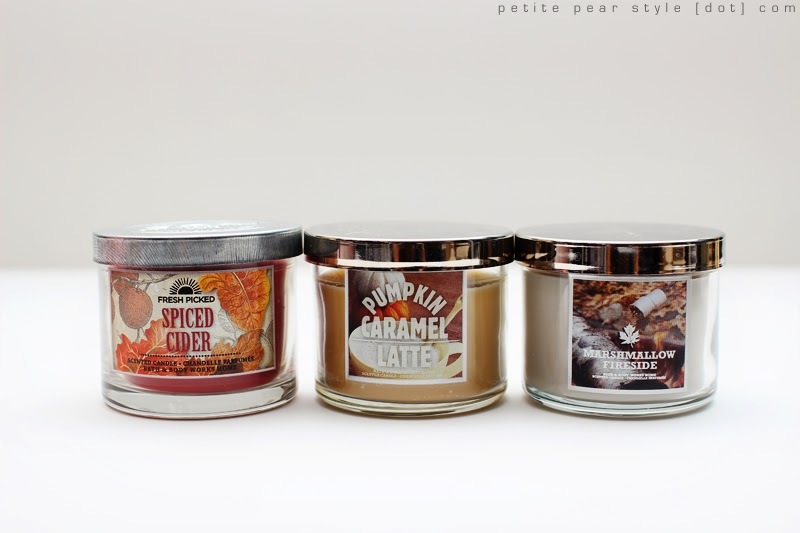 - Bath & Body Works Candle in Pumpkin Caramel Latte // This scent is so festive! I've also finished up this candle. I burn through candles like nobody's business hehe. Pebbles clearly knows I have a weakness for blush... my goodness, look how many she included in the swap package!! - Quo Baked Blush in Pinch // This blush is so gorgeous and apparently it's also handcrafted in Italy. How lovely! It's a little powdery so I just dab my blush brush carefully. It's very pigmented so you don't need much anyway. I've worn this a bunch of times already. 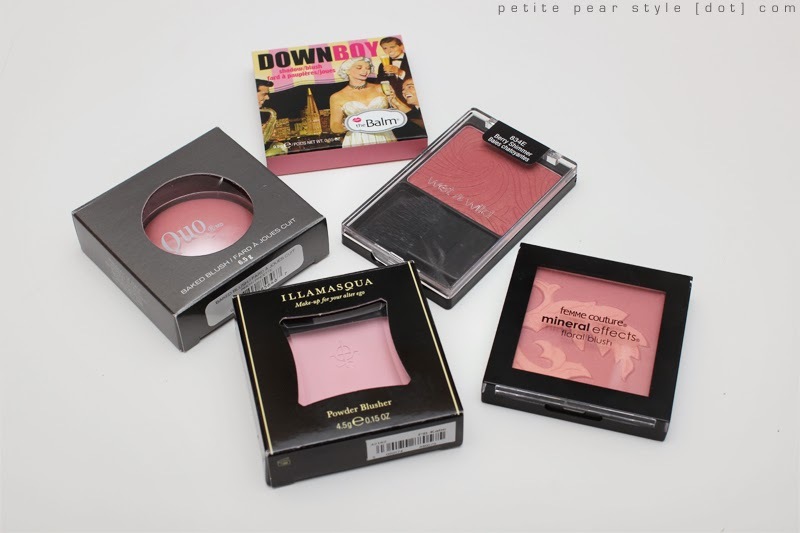 - TheBalm DownBoy Shadow/Blush // I love my FratBoy shadow/blush so I was really excited to receive this! I've used this only once but I really like it. 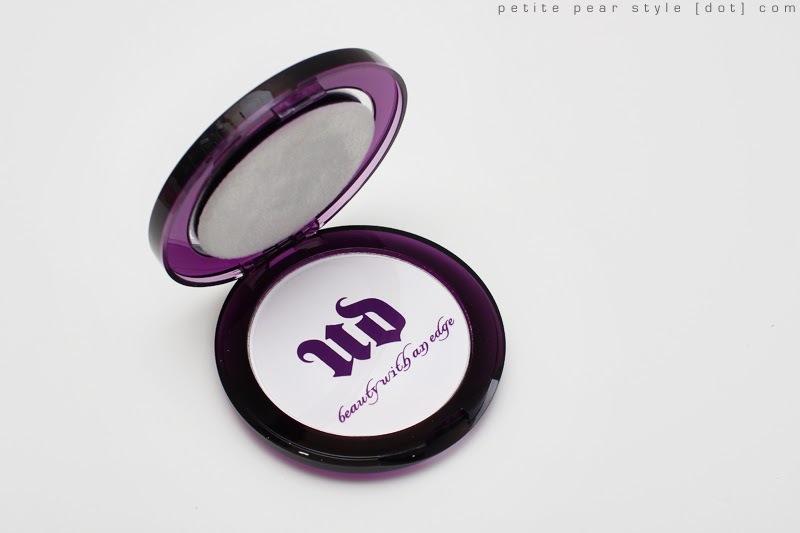 - Wet n Wild Blush in Berry Shimmer // Holy pigmentation, Batman! A little goes a loooong way with this blush! I've only swatched this one but I think I will give it a try this week. 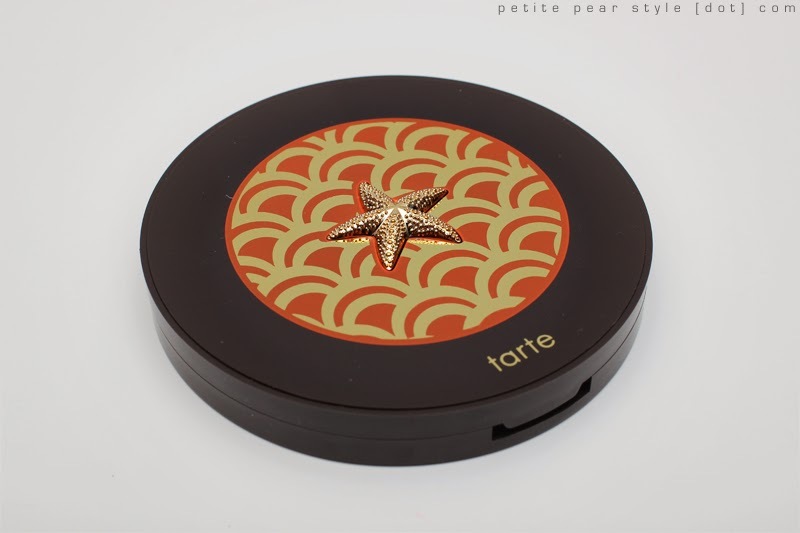 - Femme Couture Mineral Effects Floral Blush in Plum Posh // This blush is so pretty that I didn't want to swatch it! I've worn this blush a couple of times and while it is sheerer than the other blushes Pebbles bought me, the colour is buildable. This blush is also made in Italy. Love! - Illamasqua Powder Blusher in Katie // I have been eyeing this shade for a very long time! There are two super light Illamasqua blushers that I've been wanting to get my hands on - this one and Tremble - but they were sold out for a while and then I kind of forgot about them. I was so happy Pebbles picked this up for me! I haven't tried this blush yet, but I plan to this week as well. Hooray for trying new makeup! As if all these goodies weren't enough, Pebbles also got me a bunch of palettes!! 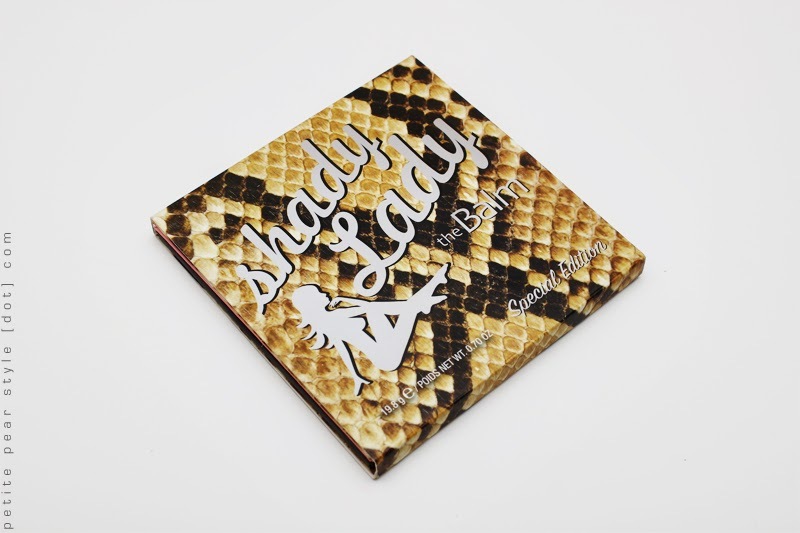 I love this Shady Lady (Special Edition) palette from TheBalm. It is incredibly gorgeous. 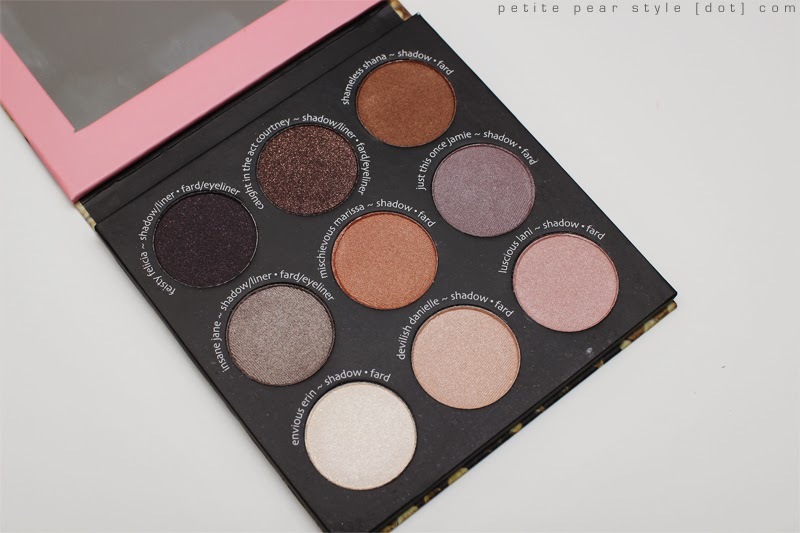 I haven't even swatched this palette yet because it is so pretty. Oddly enough, I tend to "save" a lot of my eyeshadow palettes, whereas I do not hesitate to immediately dig into new lippies. 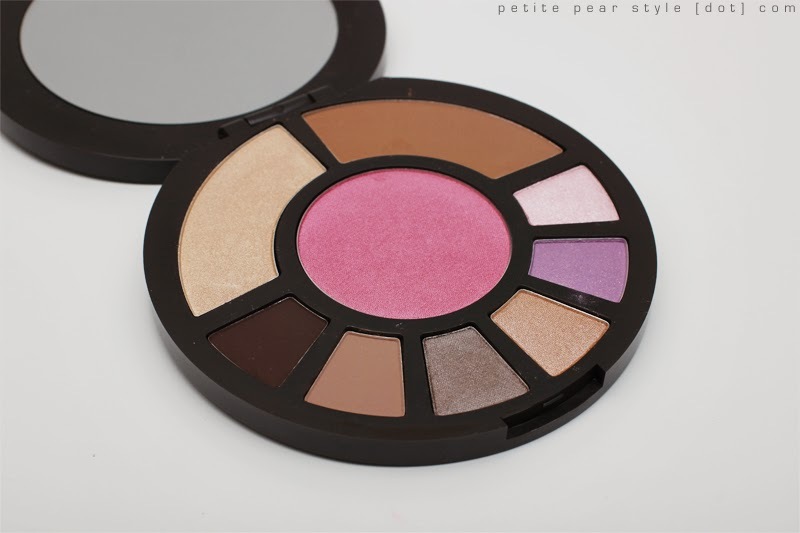 I've tried the Tarte Coral Crush palette and I really really like it! 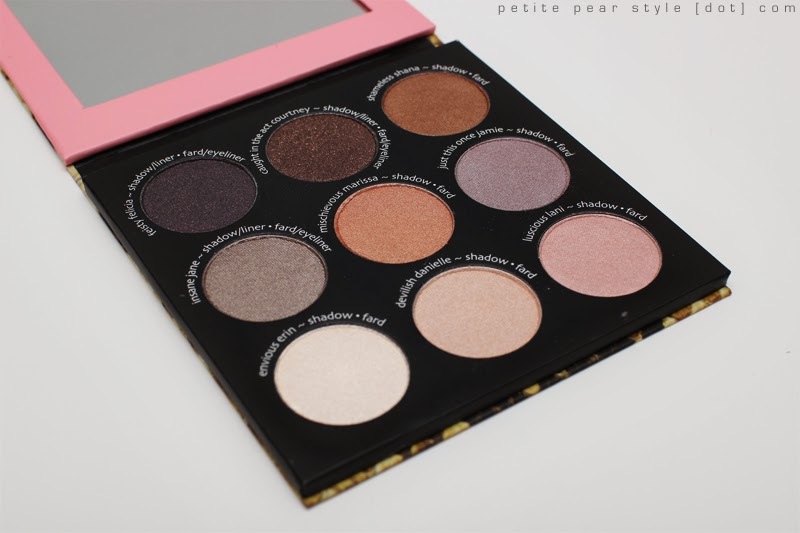 It's got a beautiful set of eyeshadows and I also love the blush, highlight, and bronzer shades included in the palette. Oh and did I mention the gorgeous packaging? 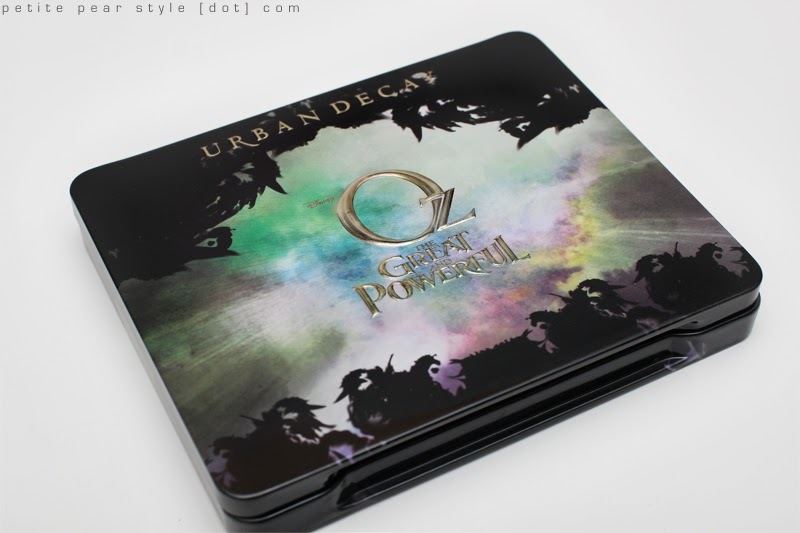 I was super stoked to receive the Urban Decay Theodora palette!! 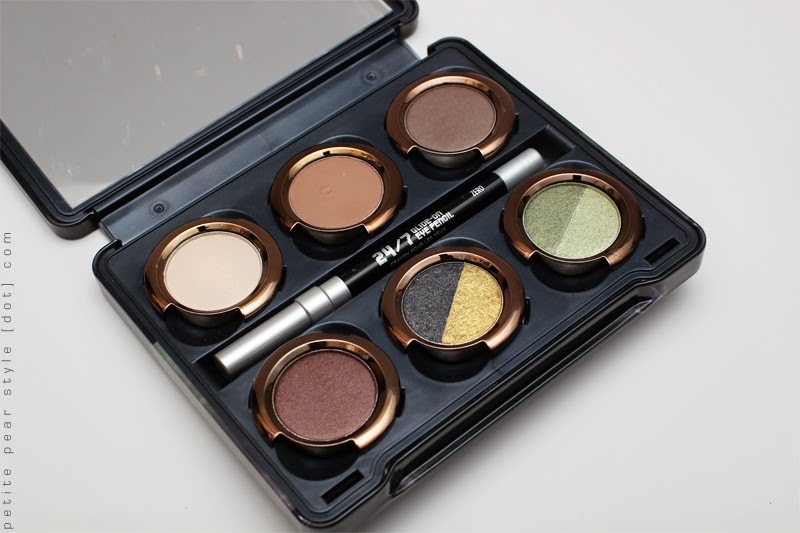 The packaging of this palette was out of this world - I love the tin and the removable eyeshadow pans. There's also a 24/7 Glide-On Eye Pencil tucked inside - my favourite eyeliner. Not only that but there was a final little surprise included in the set - the Super Saturated High Gloss Lip Color pencil in Theodora. 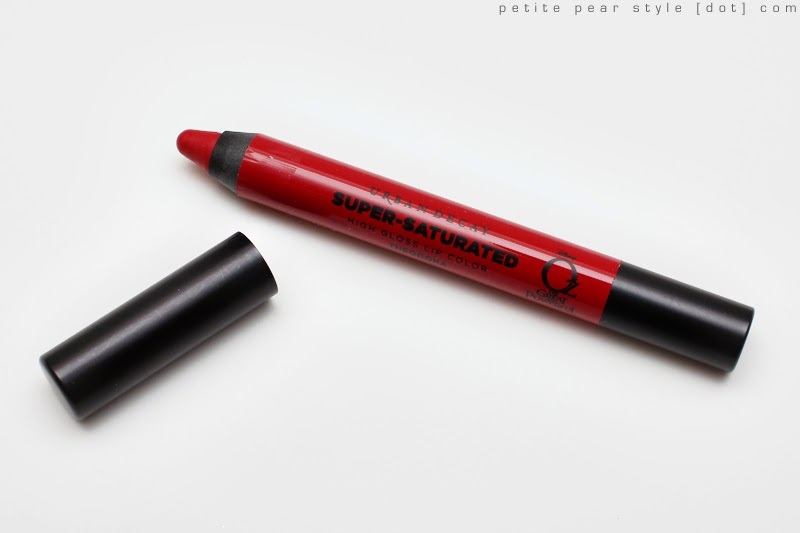 I've never tried the UD high gloss pencils before and I can't wait to wear this out and about! Last but certainly not least, here is my favourite item in the entire box! 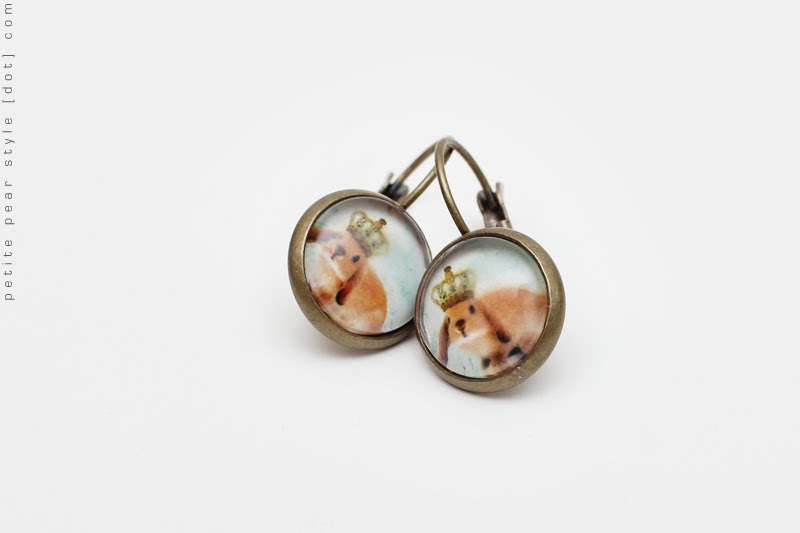 Pebbles got me... get ready for this... little bunny earrings from France! I love these so much, I can't even express it in words. They are so dainty and perfect. If you're interested in seeing what I picked up for Pebbles, please check out her unboxing! this is amazing! I watched the videos as well of course but it's fun to read this now that you've had some time with the products, can tell even better what a perfect package it was for you! your videos make me desperately want to do a swap, hopefully I'll find somebody to give one a try with in 2014 :) I think TheBalm products Maria got you are especially cool since I haven't tried that brand before and it always looks great.